The point of the community is to provide more opportunities for tournament play. But wouldn't you like to play better than you do now? Believe it or not, some of the best players want you to play better, too. Along with news and information about events, the Meeple League will present articles by experienced players presenting strategies and tips about your favorite games and maybe more importantly, insight into how they think about games. There will also be articles about organizing and running tournaments and events. Setting up an event and running it smoothly is a complex game itself and we have some experienced Game Masters (GM) to tell you how to do it right. The faster the pool of GMs expands, the more competitive events the community can support. Playing is what you really want to do. The Meeple League will keep you informed about events at conventions and stores that feature competitive play. Both a calendar of future events and information about the winners (and everyone else) at events that have happened. Tournament play that occurs at Meeple League featured events will be recorded here and members will be able to review their results and standings. Of course, you can also comment/brag about it, too. The Meeple League will have guidelines and support documents to help organize sanctioned tournaments. Face-to-face play is the ultimate in competition, but you probably can’t go to events as often as you would like. The Meeple League will organize online tournaments in popular games and track those results separately. There are a number of technical and security issues to work out, but watch for an announcement of our first online tournament soon. Join our quest to advance competitive board gaming. Sign up to create your place in our community. Follow our writers, keep up on events and news and post your triumphs and thoughts. There will be articles from the best board game players about game strategy, getting the most out of tournaments and game conventions. Experienced Game Masters will show you how to organize and run tournament events. There will be announcements of upcoming events and reporting on past events. Learn where to play more and how to support the growth of competitive gaming. 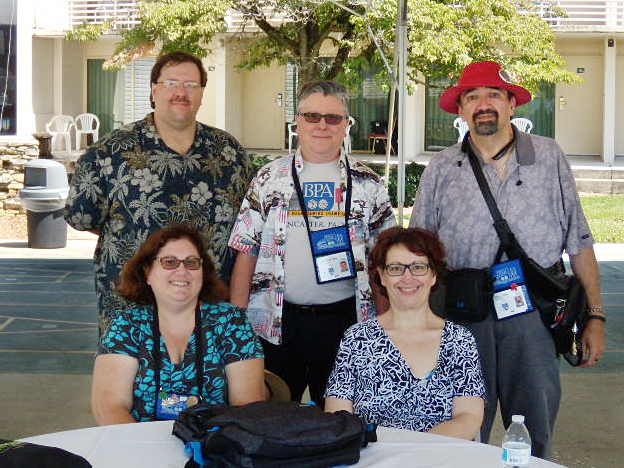 Norman and Amy Rule, Marcy Morelli, Rob Kircher and Rich Shay created the Meeple League to expand the world of competitive board gaming. Linking common events between Total Confusion in Massachusetts and Games Club of Maryland (Euroquest) they began the creation of a multi-event competitive board gaming community. The Meeple League was created in 2014 when the founders realized that competitive board gaming did not have champions trying to expand the concept. They met and decided to work on making competitive board gaming part of more events. Creating a list of popular games and a set of guidelines based on their experience as Game Masters for tournament play, the Meeple League unified some of the events at Total Confusion and Euroquest to create the first Meeple League season. After 2 seasons, the founders realized that real growth will come from engaging the players first and then the event managers. So the Meeple League is being recast as a community site for board gamers who like to play in organized competition as well as with their friends. 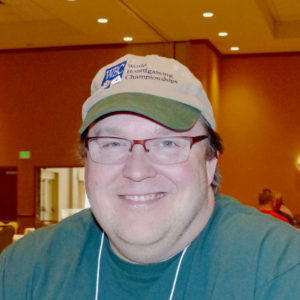 Avid boardgamer Randy Buehler has joined the crew running the Meeple League. Randy’s experience online and at live events with the Magic the Gathering community makes Randy the perfect addition to the Meeple League. Randy will be editing the magazine content and creating the online tournament experience.